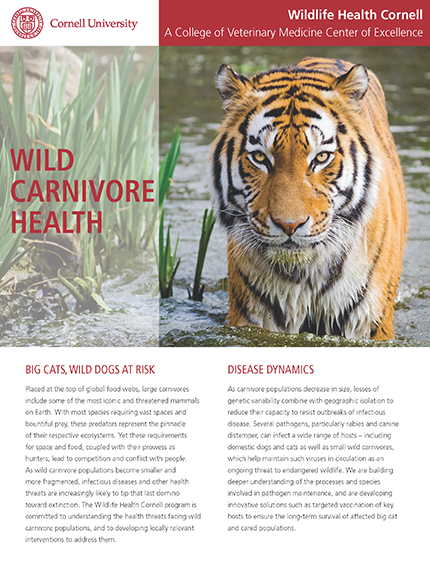 Wildlife Health Cornell, a College of Veterinary Medicine Center of Excellence, represents an unprecedented approach to the health challenges wild animals face here in the northeast U.S. and around the world – a comprehensive, science-based response by a team of the world's top wildlife health experts. 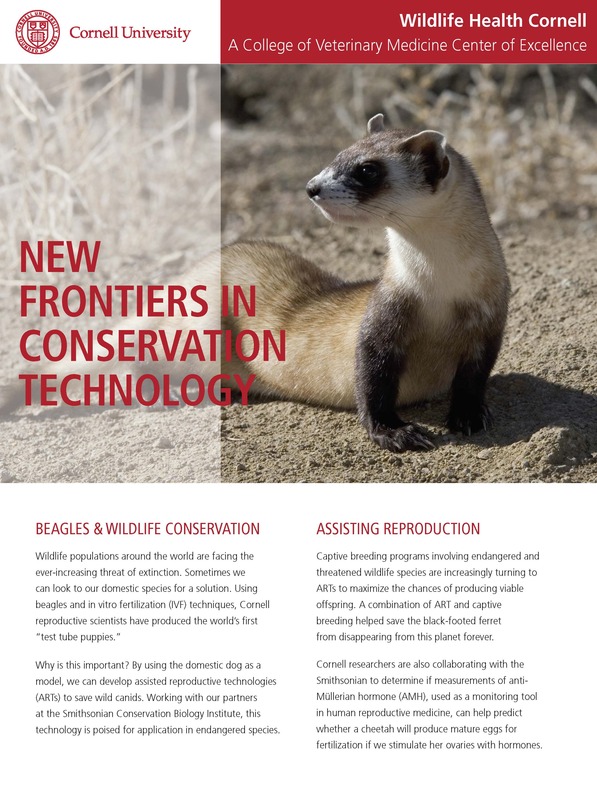 With an emphasis on the types of interdisciplinary collaboration often required to foster real progress along the science to policy and action continuum, Wildlife Health Cornell has grown out of a palpable sense of genuine urgency regarding the fate of our planet's wildlife, an increasing understanding of our own dependence on the planet's natural systems, and the recognition that it will take a new generation of colleagues to halt and reverse the trends we face. 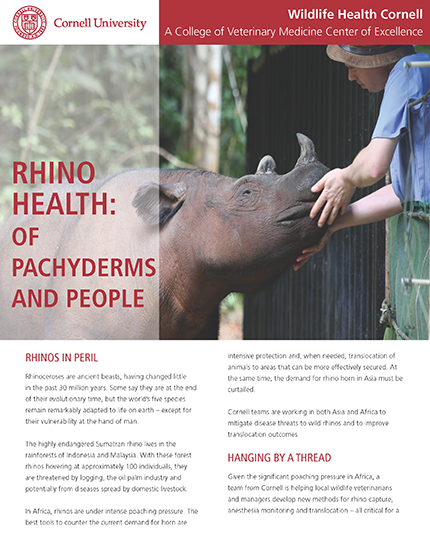 Our team works around the world to develop a deeper understanding of the relationships between wildlife and human health, and the environment that supports us all. 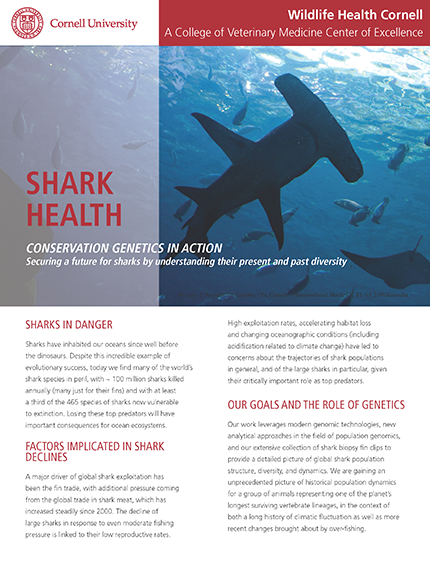 Mission: We strive to develop proactive, science-based approaches for sustaining a healthier world. 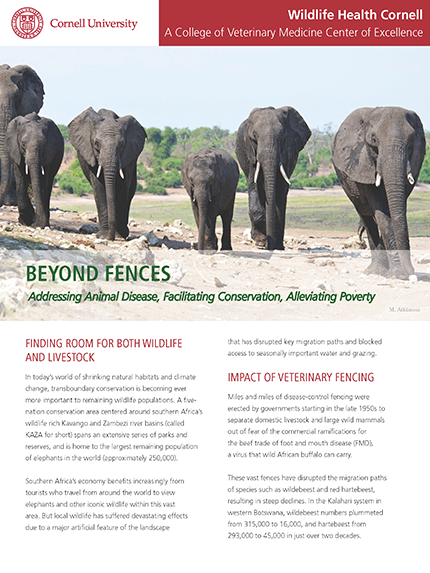 By improving knowledge, understanding, and capacity at the interface of wildlife health, domestic animal health, and human health and livelihoods, environmental stewardship can be enhanced today, and for tomorrow. 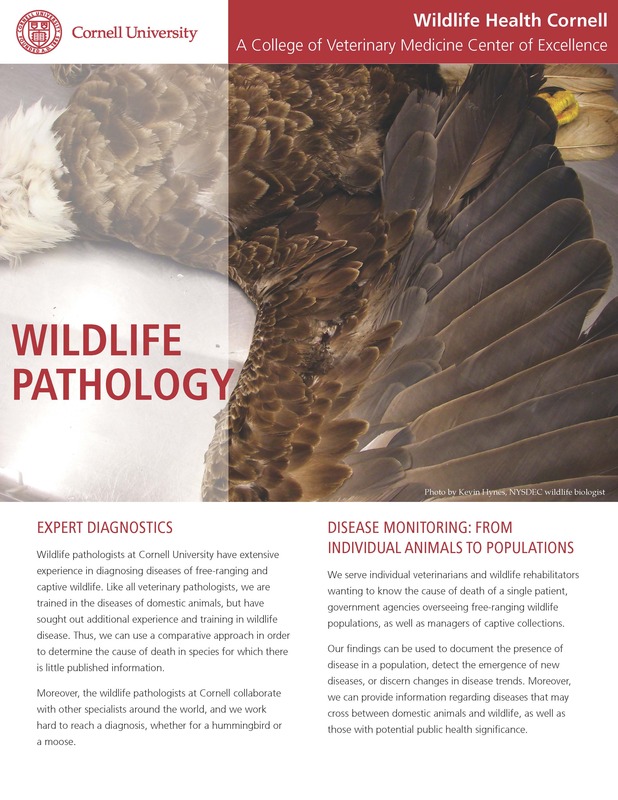 Summer 2017: Introducing Wildlife Health Cornell! 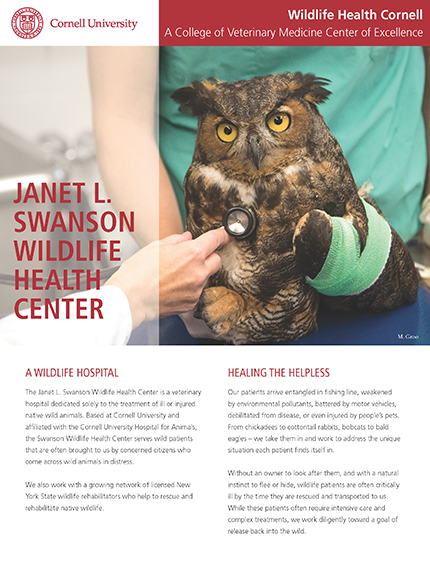 To learn more about how the College of Veterinary Medicine is working to save wildlife around the world, subscribe to our new quarterly Wildlife Health Cornell e-newsletter here. 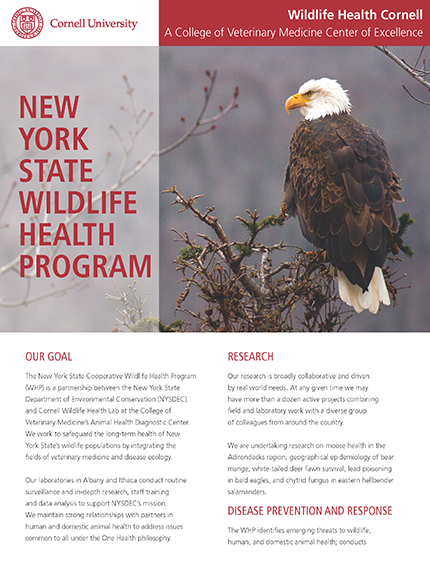 For more information about Wildlife Health Cornell, please contact Dr. Steve Osofsky at s.osofsky@cornell.edu. 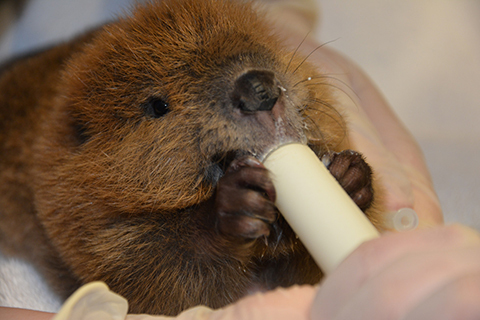 Wildlife Health Cornell: Your gift literally means the world to us. To charge your gift using Visa, MasterCard or American Express, call us at 1.607.253.3745. Questions on giving? 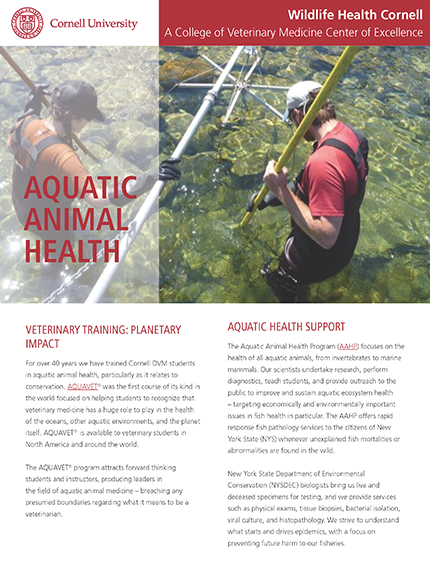 Please contact Sheila M. Reakes at 1.607.253.4310 or <smr45@cornell.edu>. Watch our recent “talk show” launch of Wildlife Health Cornell at Reunion 2017, hosted by Provost Michael I. Kotlikoff and featuring internationally-renowned wildlife health experts discussing our novel approach to wildlife conservation and the challenges of saving wildlife and wild places. 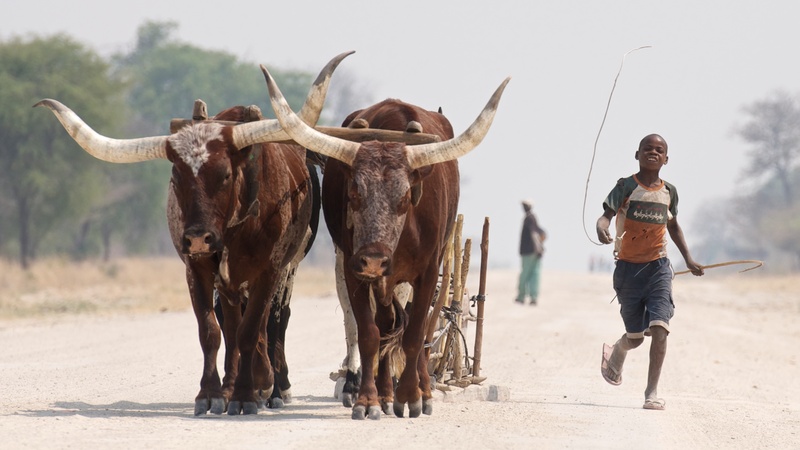 AHEAD supports real world problem-solving at the interface of wildlife health, livestock health, and human health and livelihoods. 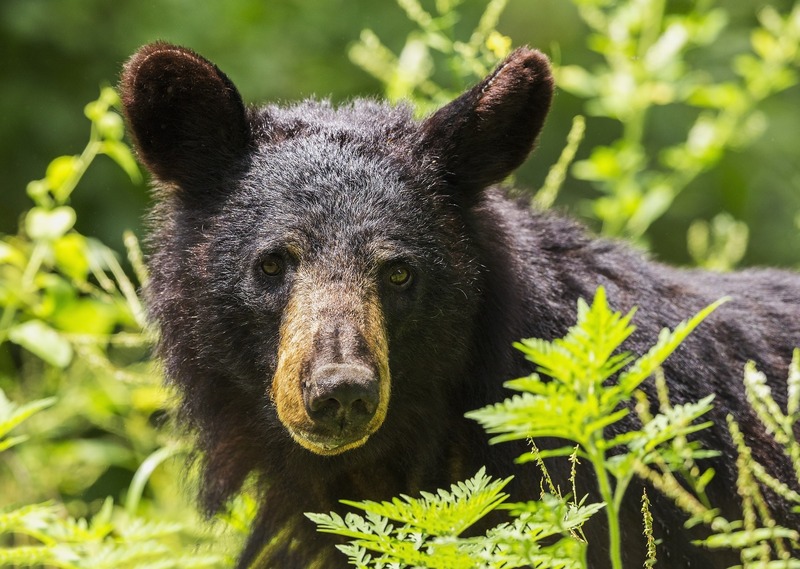 Promoting the health and long-term sustainability of wildlife populations through the integration of wildlife ecology and veterinary medicine. 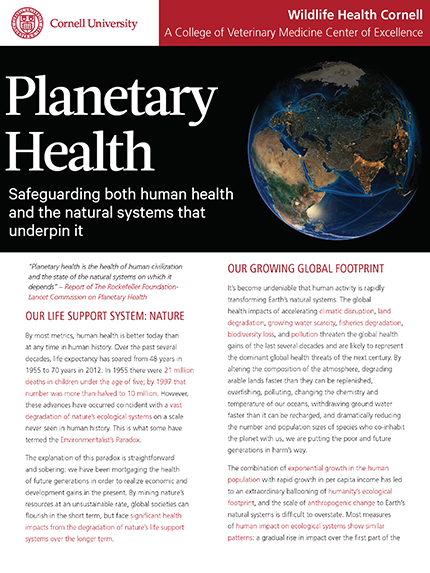 Understanding and addressing the public health impacts of human-induced environmental change. 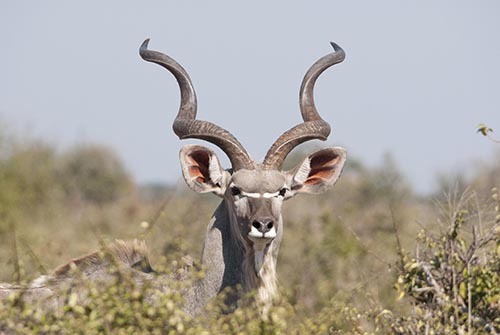 Providing comprehensive diagnostic, medical, and surgical care to sick, injured or otherwise impaired native wild animals. 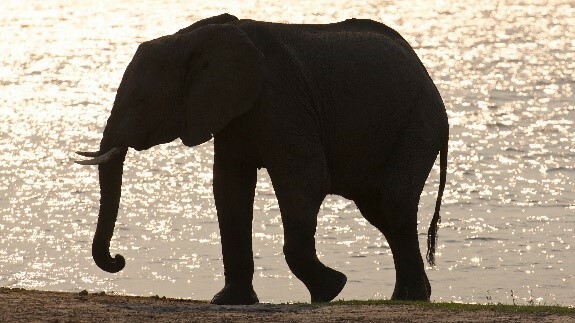 Hear first-hand from our Wildlife Health Cornell scientists as they blog from New York and around the world. 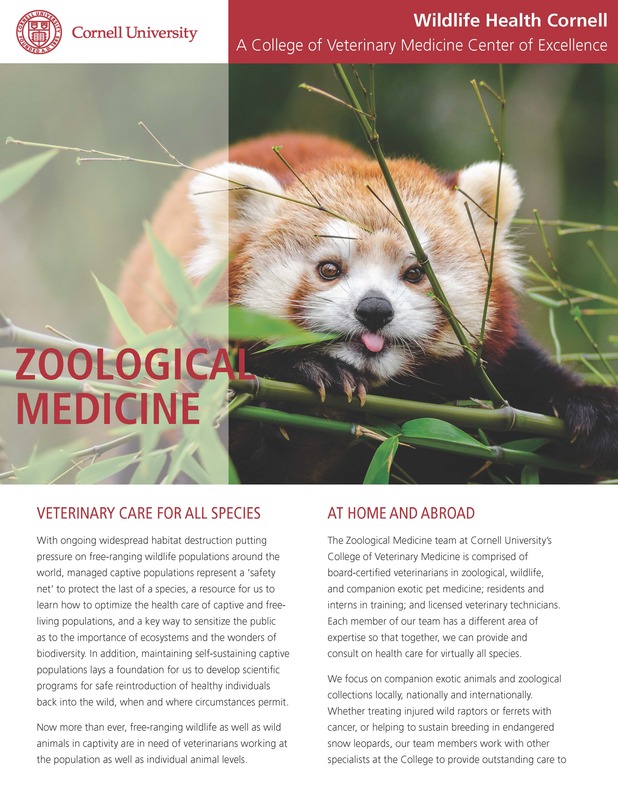 A veterinary student-run blog providing updates on Cornell-related zoo, wildlife, and exotic animal medicine initiatives. 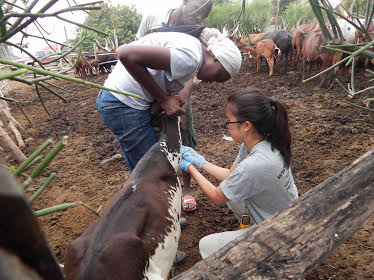 A Cornell veterinary student grants program offering a unique opportunity to experience veterinary medicine in a developing country.